Sell your home for the highest value! 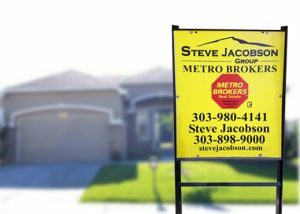 Call Denver expert Steve Jacobson! For most families, their home is their largest financial asset, and deciding to sell it is a big decision that involves a lot of preparation and work. When you’re ready to sell it’s important to have an experienced real estate professional handle the all of the details involved in the successful sale of a home. You will need expertise to sell for top dollar. As a professional with 35+ years of experience and who has helped many area residents sell their homes, I know how to handle every aspect of the sales process. I am an expert from strategically marketing and showcasing your home to making sure everything’s signed, sealed and delivered by the closing date. Our web sites , brochures, past clients, constant and consistent efforts will get you on the market in the right show condition and properly educated to price to get sold. Sell with a Realtor in All Parts of the Metro! Whether you are in Parker, Arvada, Denver, Evergreen, Golden, Highlands Ranch, Littleton, Lakewood, Castle Rock, Castle Pines, Wheat Ridge or ANY Front Range area, I will provide you with excellent service and skill to get you moving. I am also an expert on the short sale process. If you, or someone you know, are thinking of selling a home and that home is upside down in value, call me. My team and I have the experience of 100’s of short sales to get your home sold with the least amount of trouble. We work with every bank and institution in the short sale arena. I work with FHA and conventional loans. Save your credit and move on with your life. Call or text me 303-898-9000. Providing you with comprehensive, high-quality listing service is my top priority. So, when you decide to sell your home, please contact me and let’s get started! The following articles are a great place to start if you’re looking for information about the sales process, including loans and lending, and how you can get more for your home when you decide to sell.